Athletic host their first match on Good Friday since confirming their National League status for next season. Having trailed by two goals at Barrow last weekend, three goals in the final 17 minutes saw Athletic complete a dramatic turnaround to guarantee a finish above the bottom four on the league ladder. 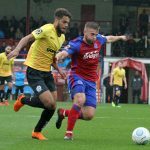 The visiting Shots were unable to halt their own slide towards the National South and their relegation was confirmed after a 1-1 home draw with Hartlepool last Saturday. And Dover will likely take note of the Shots’ away record this season. 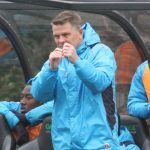 Gary Waddock’s side have won three times on the road in the league, with their only victory in 2019 coming at Boreham Wood last month (2-0). 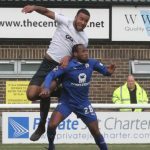 Inih Effiong has scored eight National League goals for Dover this season, while Scott Rendell has netted seven times this campaign. If you are unable to make the game, we will have live updates on Twitter – @DAFCLiveText – follow us and get all the news as it happens. There is a coach travelling to Ebbsfleet on Bank Holiday Monday 22nd April and it is not too late to book your space on it! Adult member £15, adult non-member £30, youth member (U18) £5, youth non-member £10 and accompanied under 16 £5. Please call or text Andy on 0793 4300335 to book your seat, or see him in the Centre Spot after the game against Aldershot. Please note you are now required to pay for your seat in advance by cash or by cheque or via bank transfer. 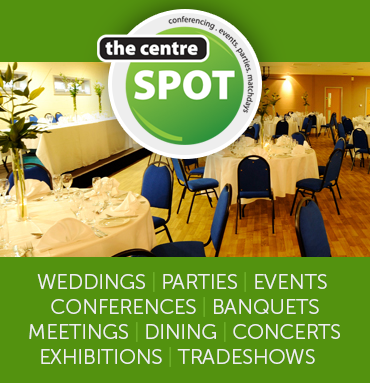 The awards presentation will be held in the Centre Spot after Friday’s National League clash with Aldershot Town. 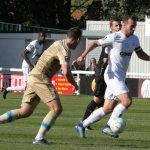 Organised and funded by the Supporters’ Club, all Dover fans are encouraged to attend the event which will start about 5.15pm once the management and players have arrived from the dressing room. Away Player of the Season which will include the DASC presenting a £250 cheque to the chosen charity of the winner. 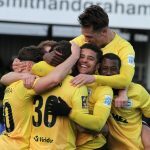 The fourth trophy, the Golden Boot, for the top goal scorer will be made on the pitch at the end of the Sutton United game on 27th April. Please come along and support the players. 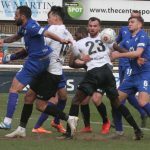 National League safety could be secured for Whites this Saturday when they make the 734-mile round trip to the Furness Building Society Stadium. 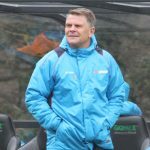 Should Athletic match Aldershot’s result at home to Hartlepool and better Havant’s result at Solihull on the same day, Andy Hessenthaler’s men will guarantee their National League status for next season. 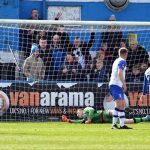 After avoiding the drop on the last day of the 2017/18 campaign, in spite of a home defeat to already relegated Chester, Ian Evatt’s Barrow have had a much stronger campaign this time around and sit 11th on the league ladder. 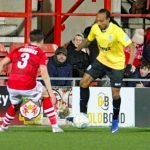 However, Athletic might be encouraged by the current home form of this weekend’s hosts, with the Bluebirds’ registering one win so far this year – a 2-1 win over Aldershot last month with John Rooney netting the winner from the penalty spot deep into injury time. 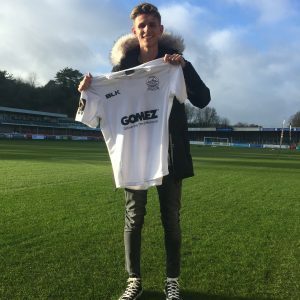 Three Dover players will be familiar with their surroundings when both sides take to the turf on Saturday afternoon. 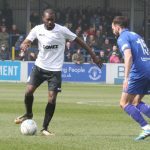 Midfielder Bedsente Gomis featured 43 times for Barrow last season, striker Inih Effiong made seven appearances in 2017 and forward Jamie Allen played 17 times on loan during the 2013/14 season. 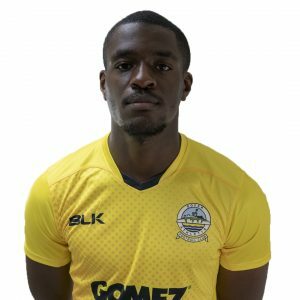 Inih Effiong has scored eight National League goals for Dover this season, while Jack Hindle leads the way for Barrow this campaign with 11 strikes. For fans wanting to show the same colours as the players, captain Mitch Brundle and his teammates will be wearing their yellow shirts. Please call or text Andy on 0793 4300335 to book your seat, or see him in the Centre Spot after the match against Aldershot.